We have another fun engagement session featured for you today! 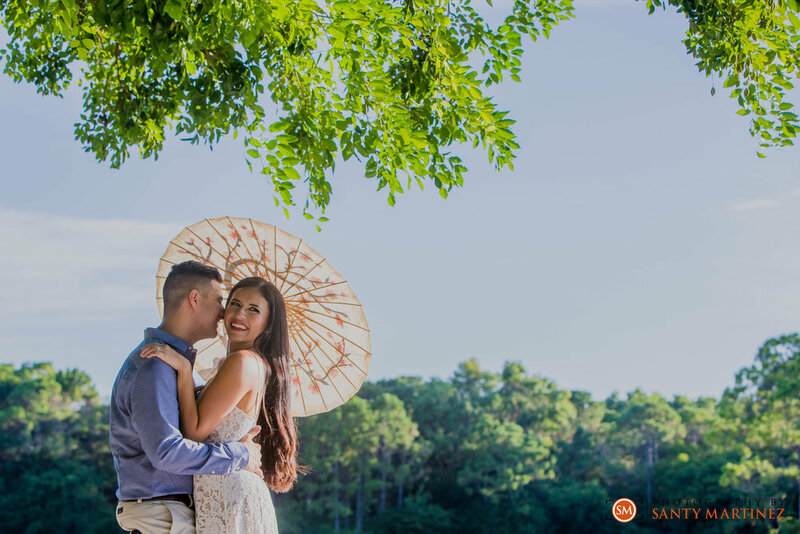 Jocelyn and Andrew chose to do their shoot at the beautiful Morikami Museum and Japanese Gardens located in Delray Beach, FL. 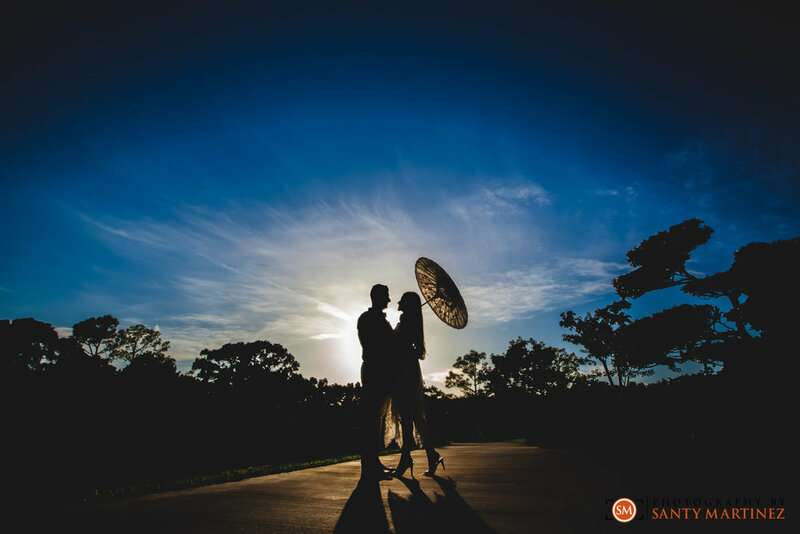 We love shooting at Morikami, with their lush landscaping and cool architectural details, it's a gorgeous backdrop for photographs. According to their website, Morikami’s gardens, named Roji-en: Garden of the Drops of Dew, were designed to be a living exhibit complementing the museum. It's designer Hoichi Kurisu sought to create a garden complex for the new millennium. Its six distinct gardens are inspired by, but are not replicas of, famous gardens of Japan. If you live in South Florida and have not visited, we highly recommend the trip to this hidden gem. 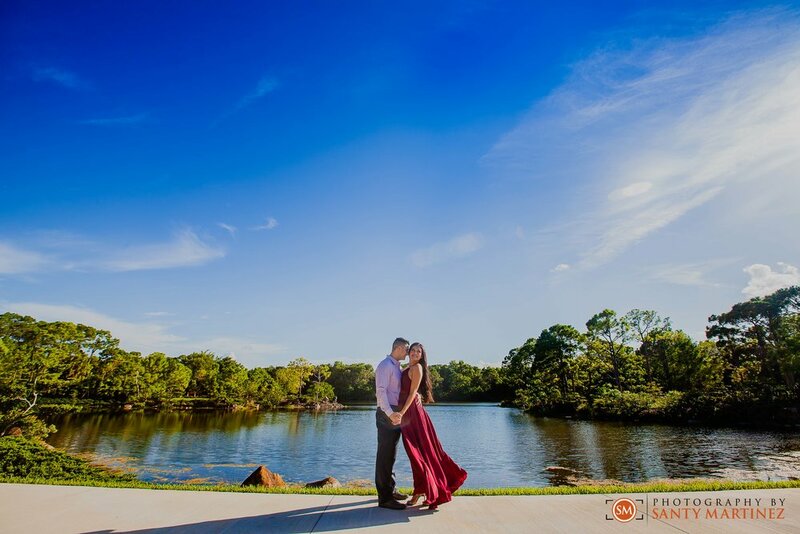 We were sure happy to drive up for this beautiful engagement session! These two are just the sweetest couple and were a joy to capture. 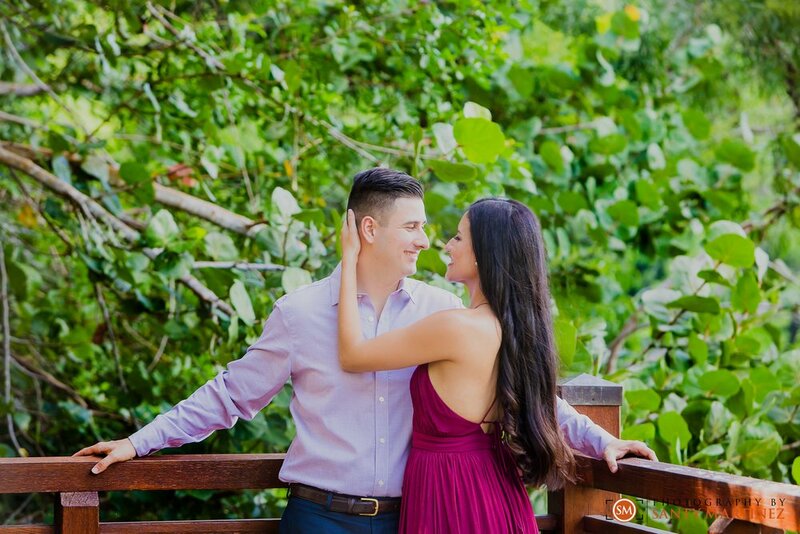 We met Jocelyn and Andrew over a year ago when they came to our Kendall studio. They came to us referred by a recent bride and groom whom we also had the pleasure of photographing their wedding. During our meeting, we got to know each other better and chatted about their future wedding day. Fast forward to today, we are only a couple short weeks away to witnessing their vision for their big day transpire. It's sure to be an awesome event! We often get asked how soon is too soon to book your wedding photographer. Our recommendation is to book us as soon as you secure the date with the venue. We often, as in Jocelyn and Andrew's case, get booked up to a year in advance. Contacting us as soon as possible will increase the chances we are available for your wedding date. Not only will you secure us as your wedding photographers, it will also allow you to lock in the current pricing and take advantage of our different finance options. Additionally, booking your photographer early will allow you plenty of time for an engagement session such as this one- these photos can be used for save-the-dates, the engagement party, bridal shower and/or sign-in book for the wedding. Engagement sessions such as the one in this blog is a fun way to celebrate the love between the couple before they make it official - And Jocelyn and Andrew had tons of love to celebrate! Please enjoy the following images and don't hesitate to contact us with your inquiries!